You all know I LOVE going to concerts! I have been to so many I can’t even remember them all and that makes me happy! 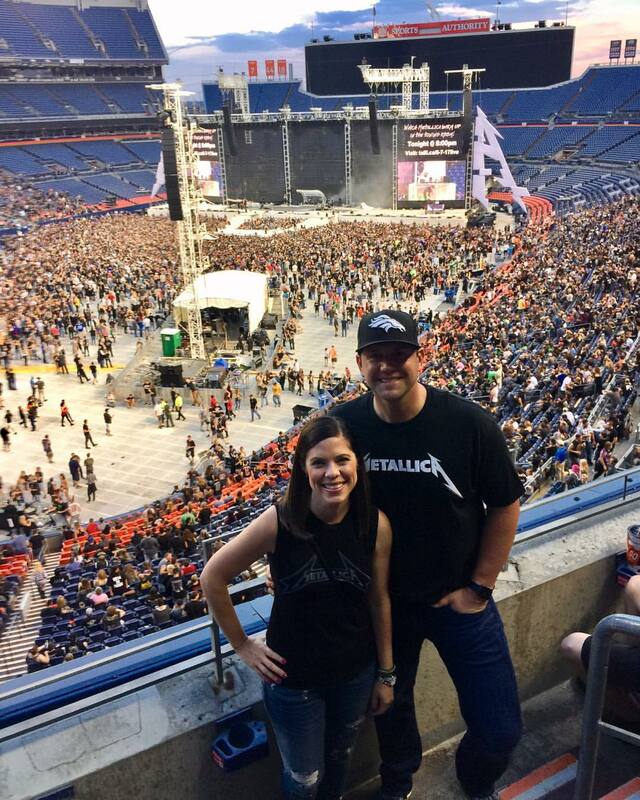 Last year Matt took me to AC/DC and that hands down was my best concert ever well coming in at #2 is………………. For real Queen with Adam Lambert fronting was so amazing and to hear all my favorite songs it was a dream COME TRUE! Adam is so gifted I have always been obsessed with him I am not sure if I want to be him or be with him (I know he doesn’t like girls) LOL! Before Queen we ate downtown at one of our favorites and it was such an incredible date night and did I mention NO opener? Just 30 songs by Queen! Ps- My top below is on sale at Free People and I am obsessed, you will be seeing this again! The show was sold out and a ton of fun plus who doesn’t LOVE free food, drinks and a private suite? Matt’s parents and their best friends were in Colorado a few weeks ago and they let us tag along to see The Steve Miller band and Peter Frampton at Red Rocks! Looks like tons of fun!!! Glad your Summer is going well, with all the concerts. PSI LOVE LOVE LOVE the pic of you and Matt by the railing with the scenery in the background! I think it would be a great one for your house!